We see a shopping spree in our future! When choosing the best toys for your classroom or for your child at home, remember that simple is best. Children will learn better in an environment that is not cluttered with toys, but instead in a space that is clean, simple, and with room for their imaginations. Here are our top 25 picks for educational toys for preschoolers. When creating this list we focused on every area of learning and the best toys for every preschool classroom, daycare or homeschool! 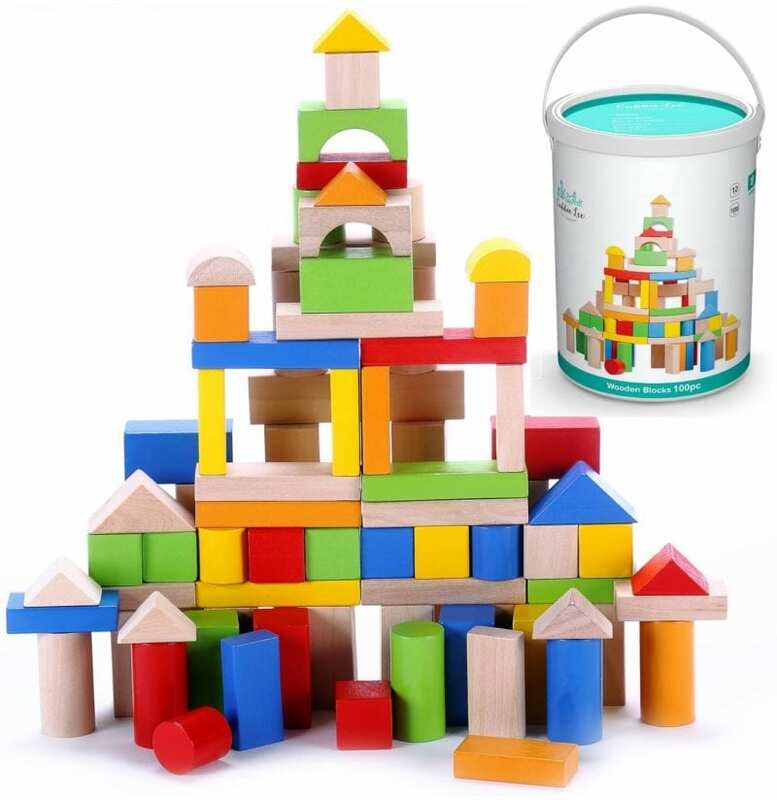 Wooden blocks are wonderful for preschool building centers. This is the ultimate for open-ended play. Children are free to use their imaginations and creativity. Wooden blocks can also be used in a number of ways to practice shapes, colors, counting and more. 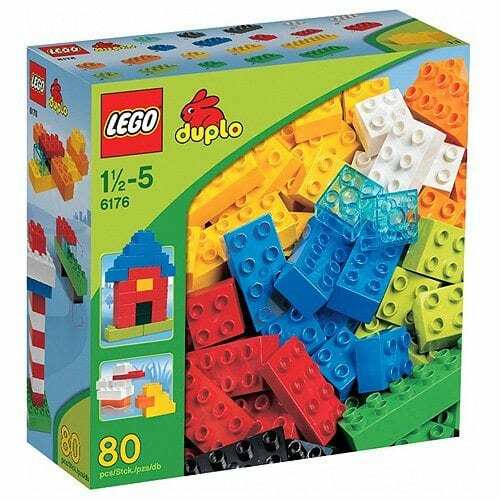 For preschoolers, DUPLO are the perfect size. LEGO are wonderful as a math tool to learn about shapes, patterns, counting, and measurement. Our favorite puzzles are from Mudpuppy and Melissa and Doug. Melissa and Doug make the best chunky wooden block puzzles that are great for little hands. The pieces make for fun figurines as well for imaginary play as well. Mudpuppy has the most beautiful puzzles! 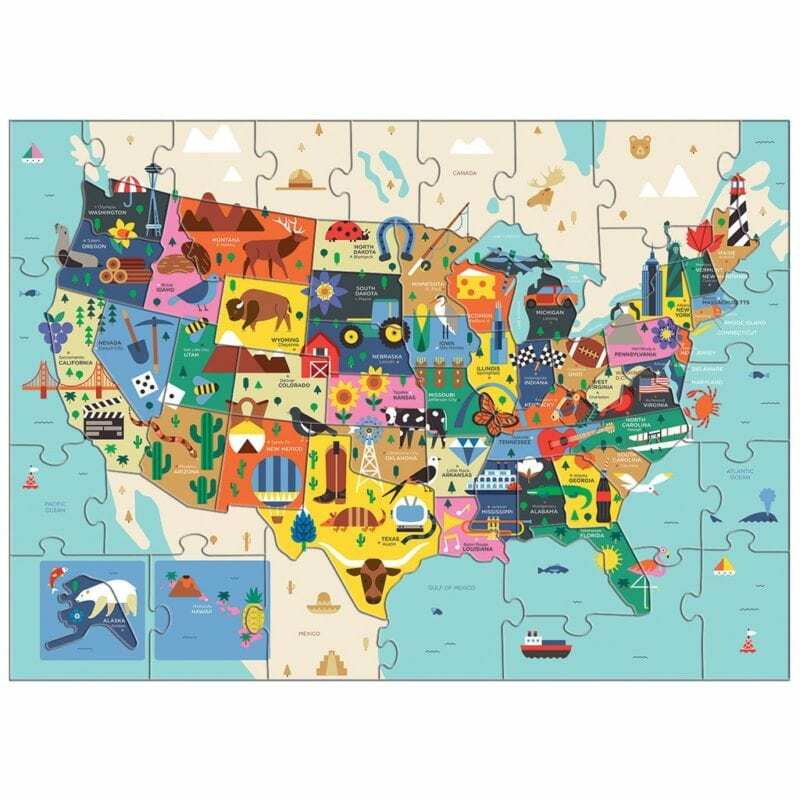 Our favorites include the Search and Find Puzzles, My Very Long Puzzles, and Geography Puzzles. This company is our absolute favorite for preschool board games. Cooperative games teach team play and there are no winners or losers, the group wins or loses as a whole instead of individually. This idea is wonderful for preschoolers who are still learning important skills like teamwork, sharing and cooperating. Our favorites from Peaceable Kingdom for the preschool age group include Stack Up!, Dinosaur Escape, Count Your Chickens and Feed the Woozle. 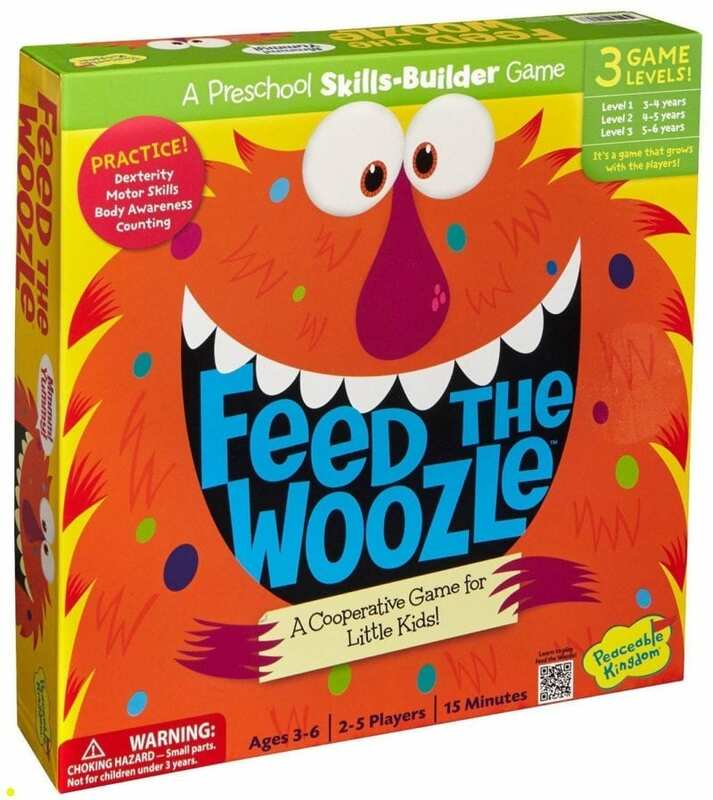 Feed the Woozle acts as a movement game as well and is perfect for busy little bodies. We love Stack Up! as it gets children working together to complete a common task while using fine motor skills. Fine motor skills like lacing are perfect for little hands and pre-writing skills. 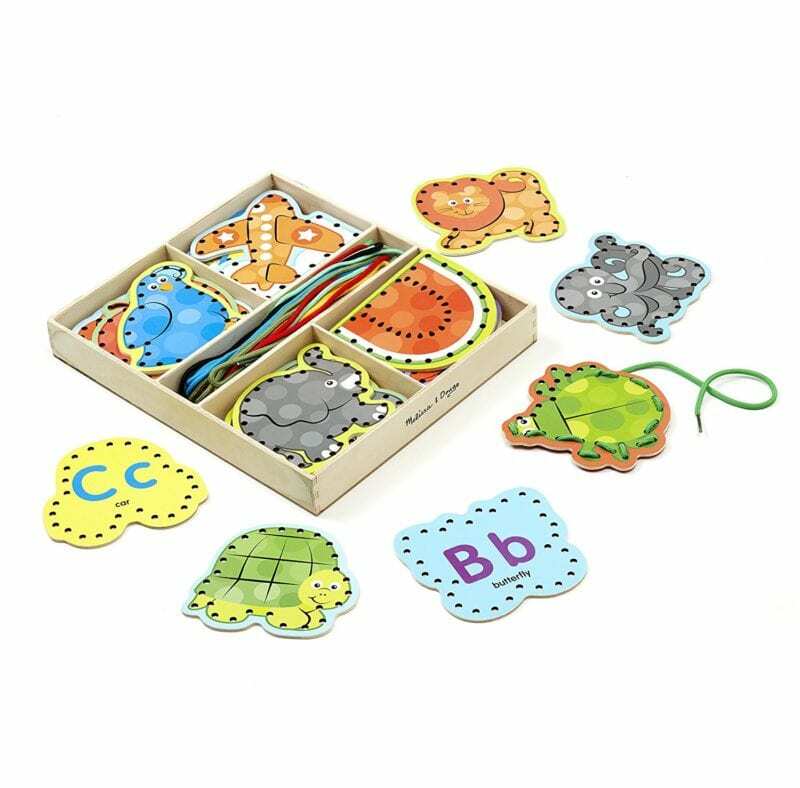 We love these lacing cards by Melissa and Doug because they are sturdy and the perfect size for preschool hands. Wooden pattern blocks are another excellent math tool. We love that this specific set is made of wood as they will last longer. Students can use their imaginations to make their own designs or can copy pattern cards to create shapes and pictures. Some other fun uses for these blocks would be to practice color sorting, shape sorting, stacking, counting or simple color and shape patterns. This is our newest preschool obsession. 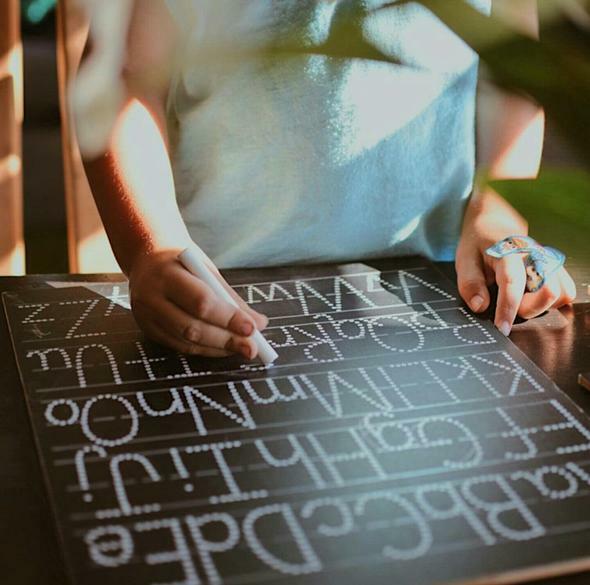 Chalkfull of Design offers handmade chalkboards with pre-printed alphabet, numbers, shapes and now clocks for children to trace with chalk or chalk markers. This toy can be used over and over again by students and would make a beautiful addition to any classroom! The boards are now offered in steps 1, 2 or 3 so you can choose the correct level for the child’s ability. 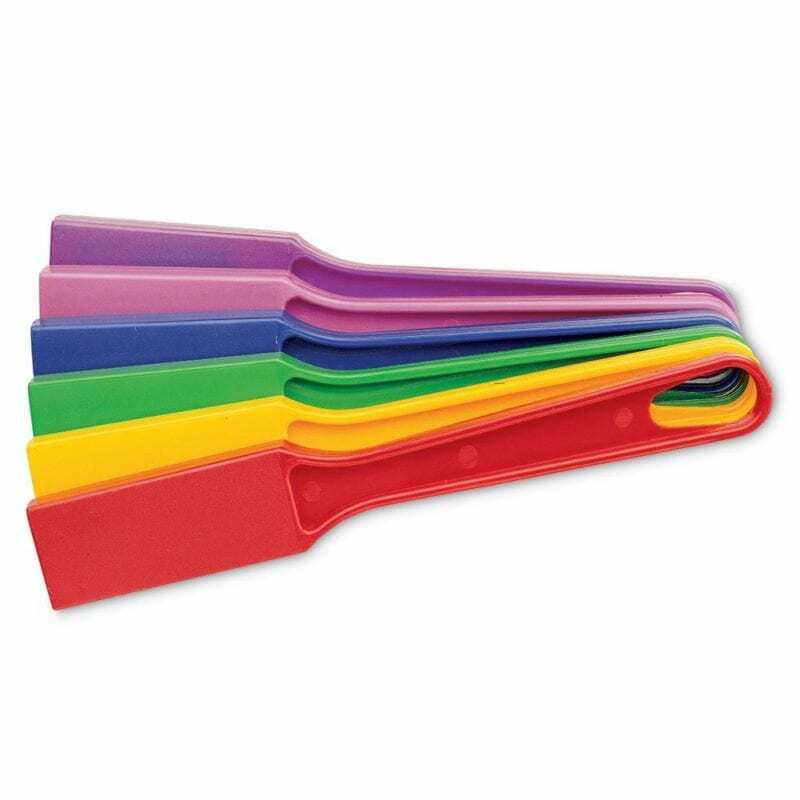 This tool set would be perfect for play in a sensory bin or at a water table. 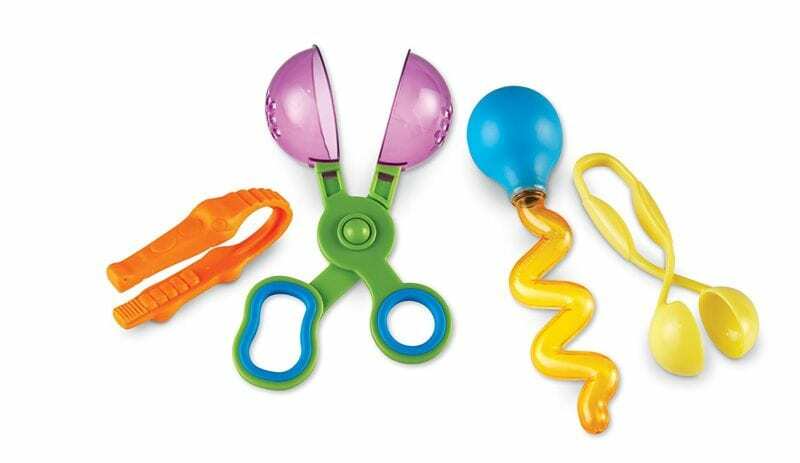 These fine motor tools help to strengthen little hands to prepare children for writing. We love this set because it is customizable and reproducible! 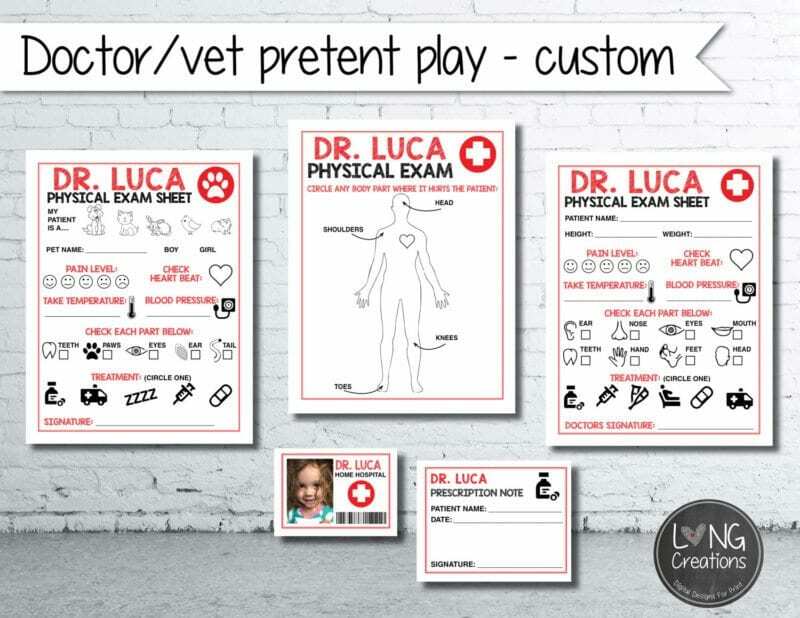 Print these out and put them on a little clipboard and children will enjoy feeling like they are really working as a doctor or vet! This makes for a super simple dramatic play center and will make for hours of learning and fun. We found this set on Etsy from Long Creations17. Children love to play make believe and playing in the kitchen always seems to be a favorite. We love the play kitchen and food from Ikea. 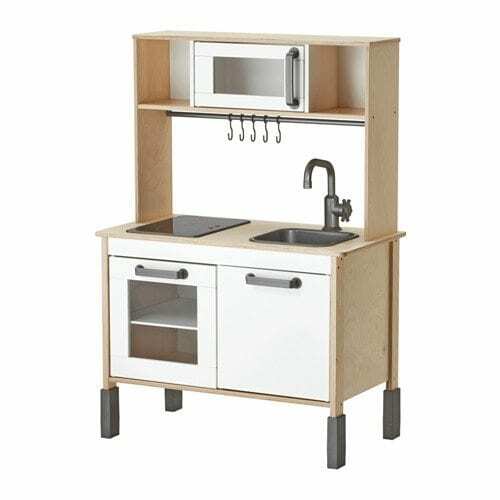 The kitchen from Ikea is affordable, durable and the perfect size for a preschool classroom. 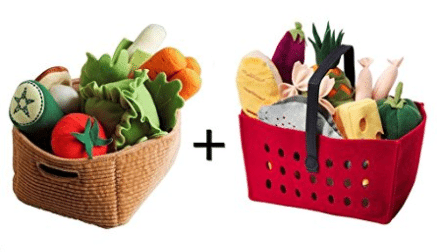 We love their fabric play food too! We also found some adorable pretend printable food from Miss Printables on Etsy! 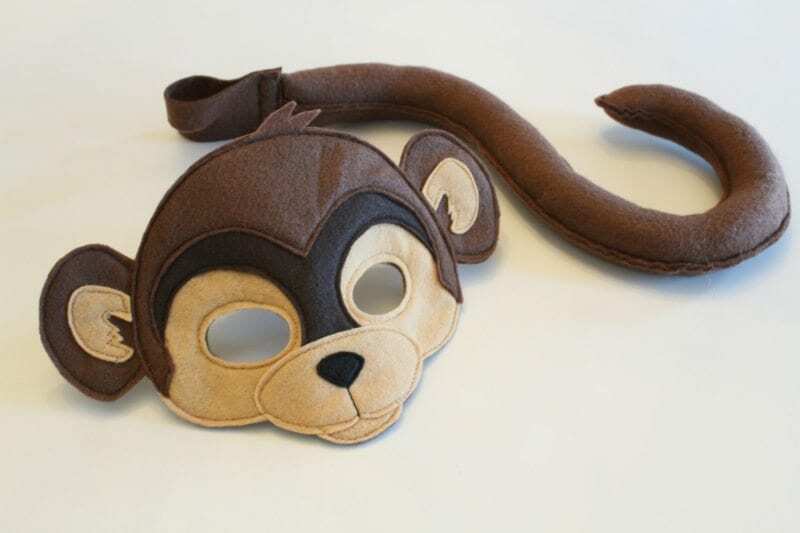 Puppets can be used by children in the classroom for pretend play, or also used by teachers as an addition to teaching. Using puppets to talk to children adds an element of fun to teaching important lessons. 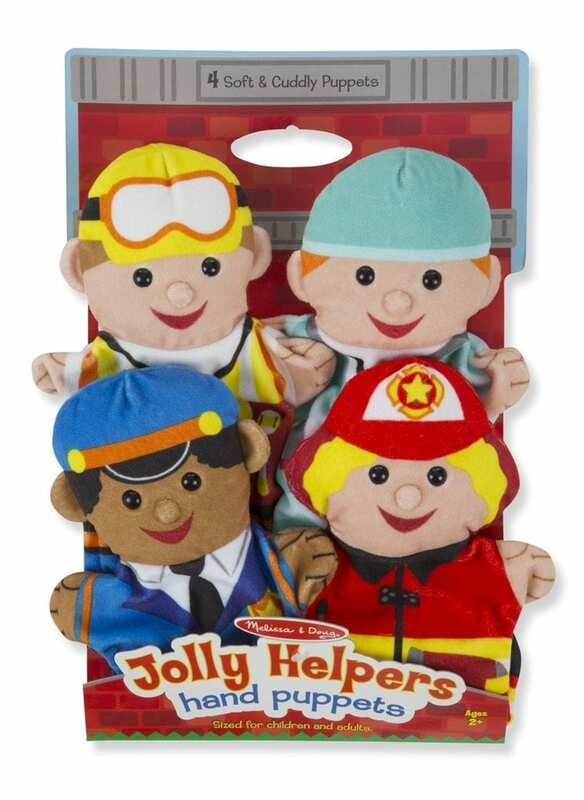 Melissa and Doug sell a variety of hand puppets that are high quality and themed perfectly for preschoolers. These are the ultimate in STEM learning. They are a bit of an investment, but will bring your students hours and hours of learning and creative fun! 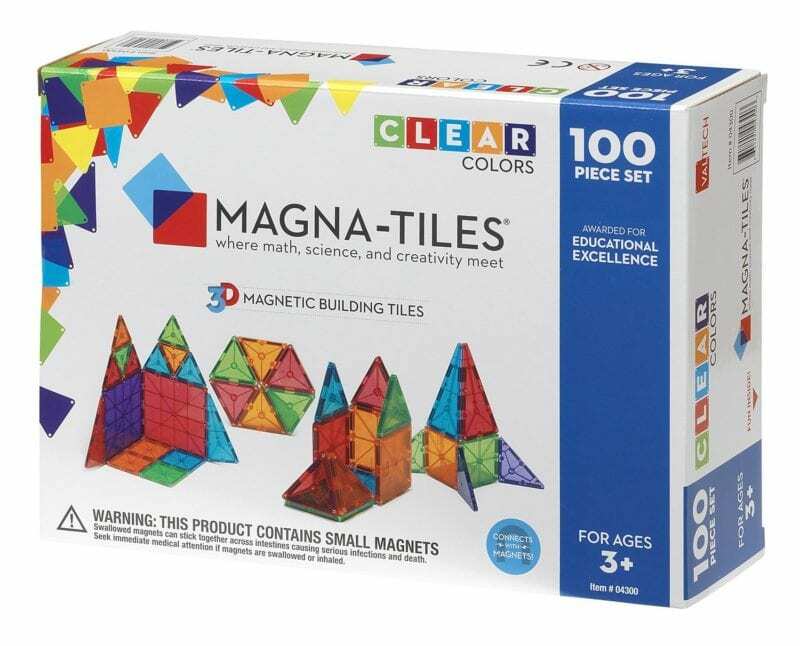 Children can build anything from roads to castles with Magna-Tiles which makes for a wonderful open ended toy! It was hard to choose just one favorite learning toy from this shop because we would have every single one in our classroom if possible! 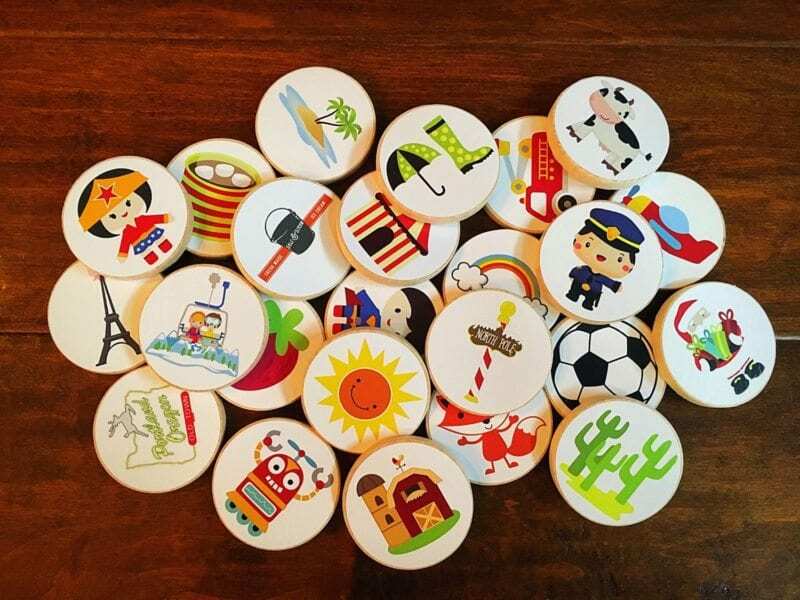 Jennifer makes the most beautiful educational toys that are made with such quality and durability. Every toy in her shop has a purpose, is clear, simple and takes learning to the basics which is crucial for preschoolers. 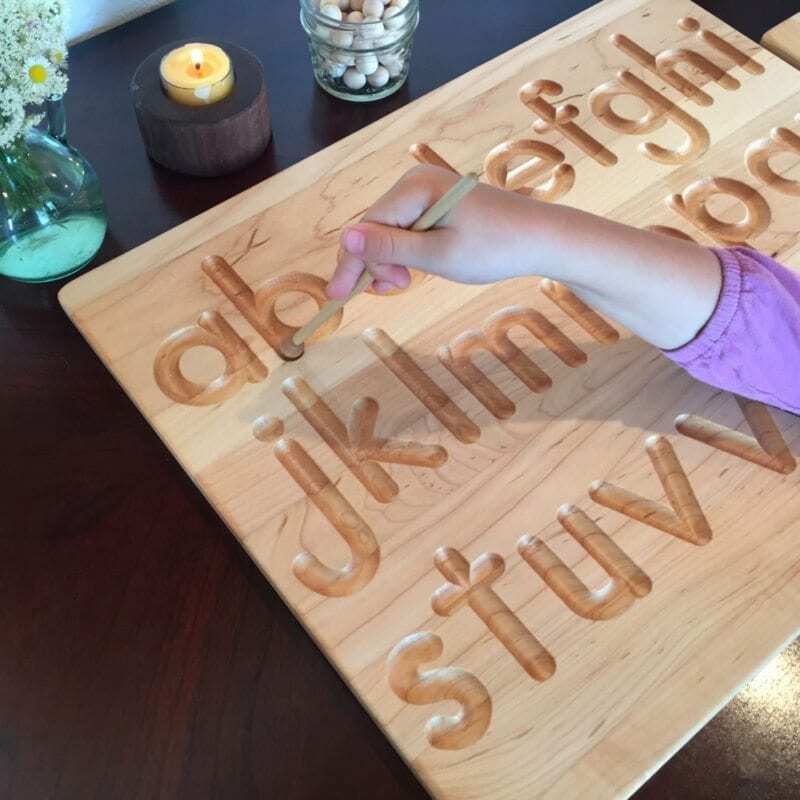 If we had to choose just one toy from her shop, we would choose the Printed Alphabet Wood Tracing Board as it makes for an excellent fine motor skills and pre-writing skills toy! 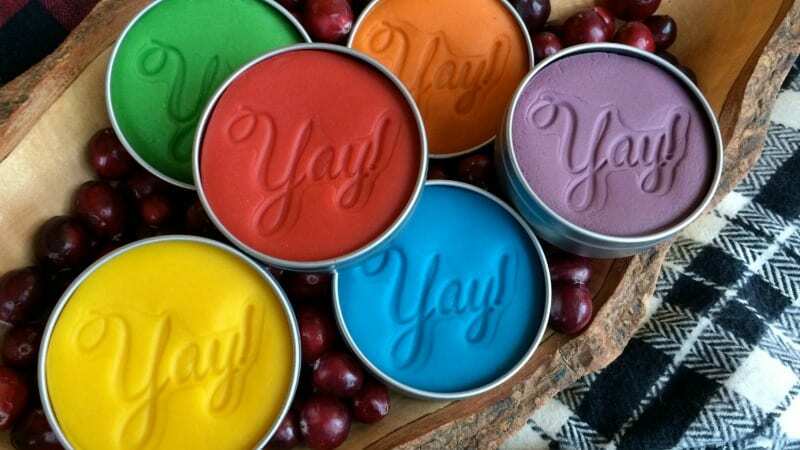 This play dough is handmade and safe for children. We love that it is non-toxic and that the scents add a natural element of sensory for little ones. 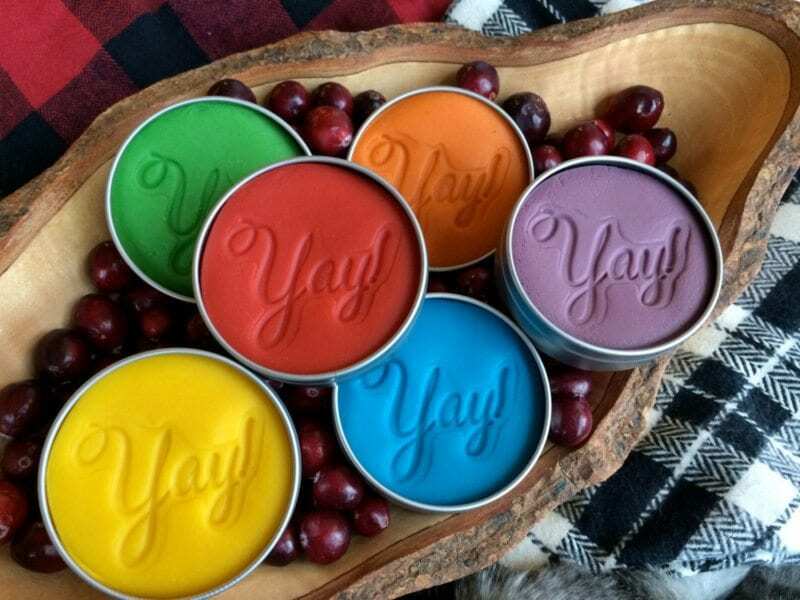 The scents she has available are perfect to add to certain themes and seasons! 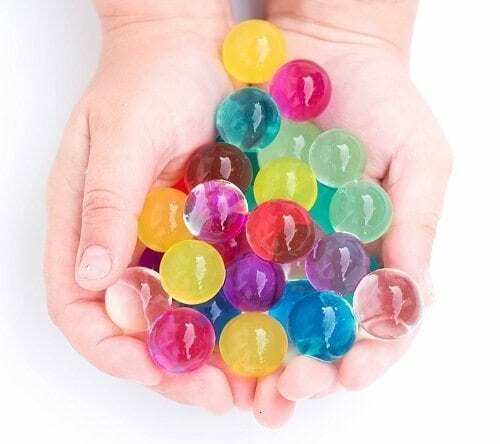 Water Beads are our favorite for sensory play! It is incredible to watch them grow and they are even more fun to play with. For added fun, we like to freeze them, add them to shaving cream, or hide letters or objects inside a plastic tub filled with them! 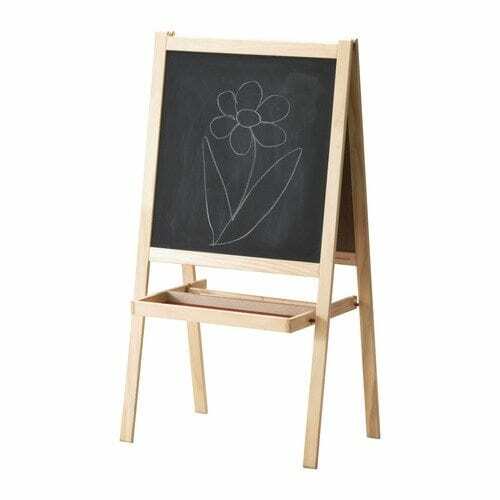 We love this easel for its simplicity. 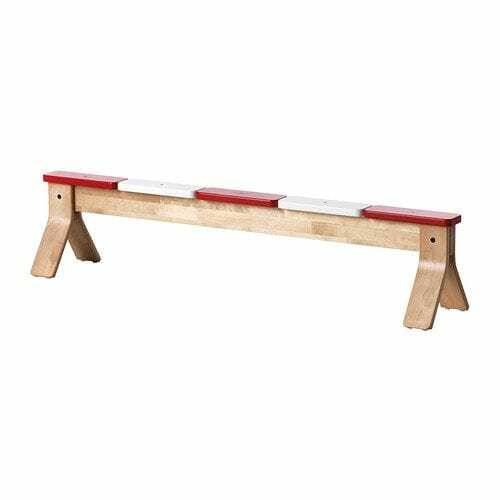 With a blackboard, whiteboard, tray and beam for a roll of white paper, this is the best and makes a beautiful addition to a preschool learning space. The price is right and it is the perfect height and size for toddlers through early elementary age children. These letters are perfect for letter recognition and pre-reading. We also like to use these for name practice, sight words work and cvc words. 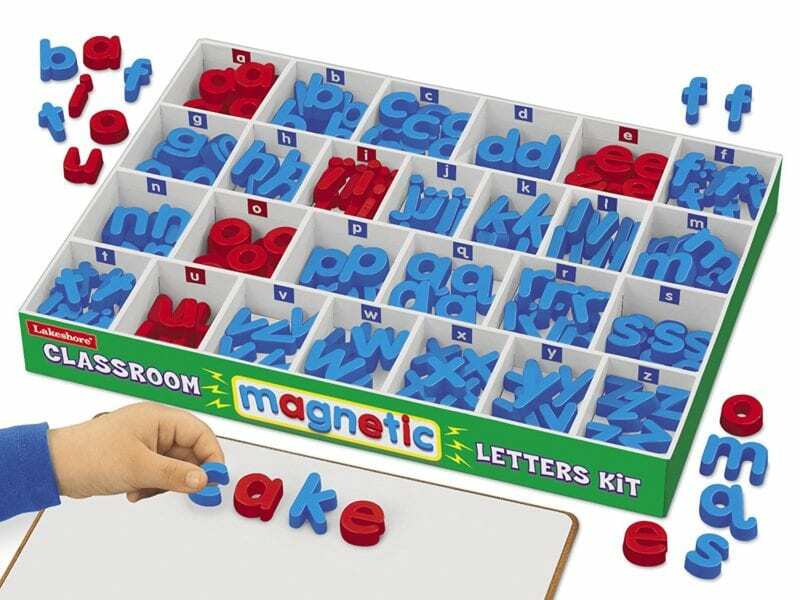 This is a great kit because it includes multiple of each letter which makes spelling out words a lot easier. These number sticks make a great addition to a math center. Anytime we can use a manipulative for teaching math, we do! 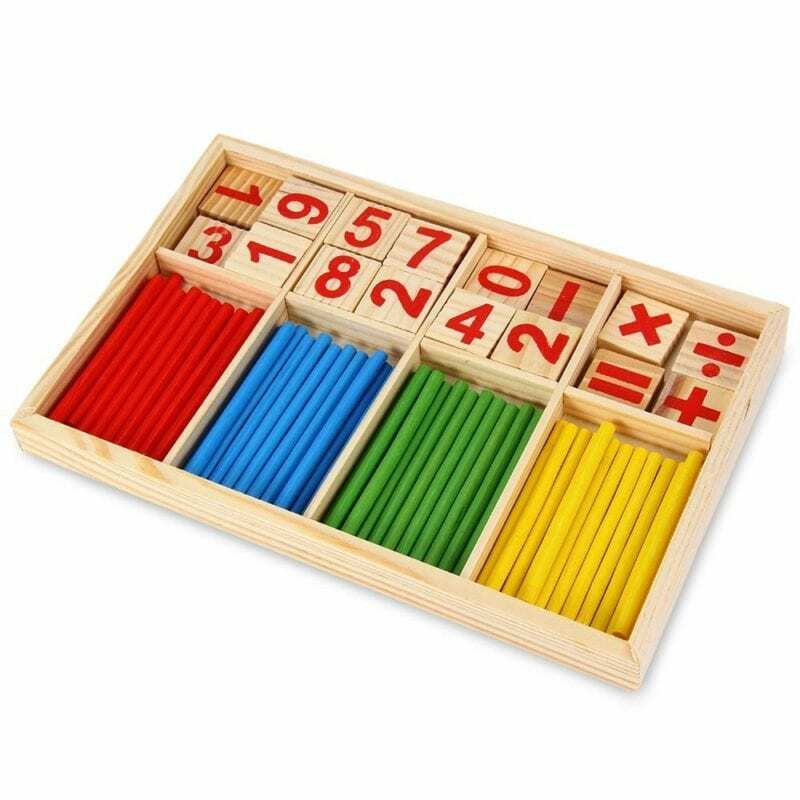 We love that this set comes with addition, subtraction, multiplication and division signs as well. 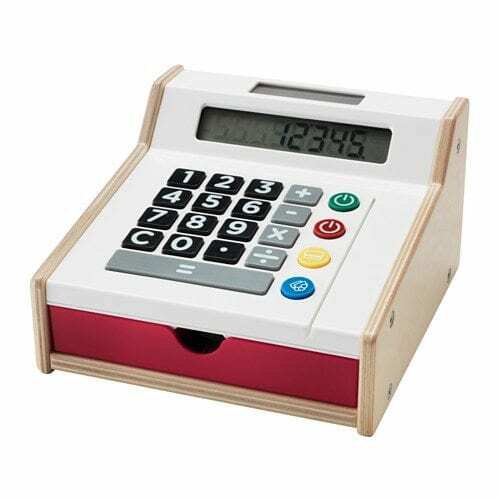 With an actual calculator, cash drawer and place to slide a credit card, this is our top pick for toy cash registers. We love the simple design and size. You cannot beat the Ikea price tag either! Core strength is so important for preschoolers as their bodies develop from the core out to their fingertips. This balance bench from Ikea is just the right height and preschoolers will love to practice walking across. There are a number of different ways this could be used in a classroom or outside play area for large motor development. We all know that play is the most important thing a preschooler can do. They use their imaginations to put themselves in real life “grown up” scenarios which prepare them for those situations later in life. We like to have as many pretend play sets around as we can to be able to switch them out from time to time. 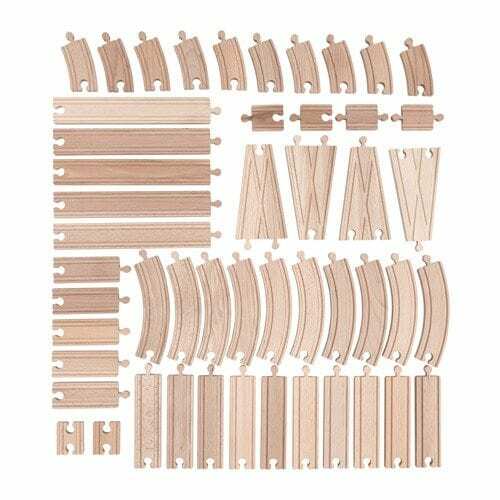 This train set is simple and offers hours of pretend play fun! This is another fun Etsy find! Children will love to create stories together using this story starter set. These are great for getting children to open up and the use their imaginations. As children get older, these can be used for writing as well! Magnet wands are such a fun STEM center toy. Fill a sensory bin and hide magnetic objects inside and have students use the magnet wands to hunt for objects. These can be used for science lessons and play. We love these for STEM play. 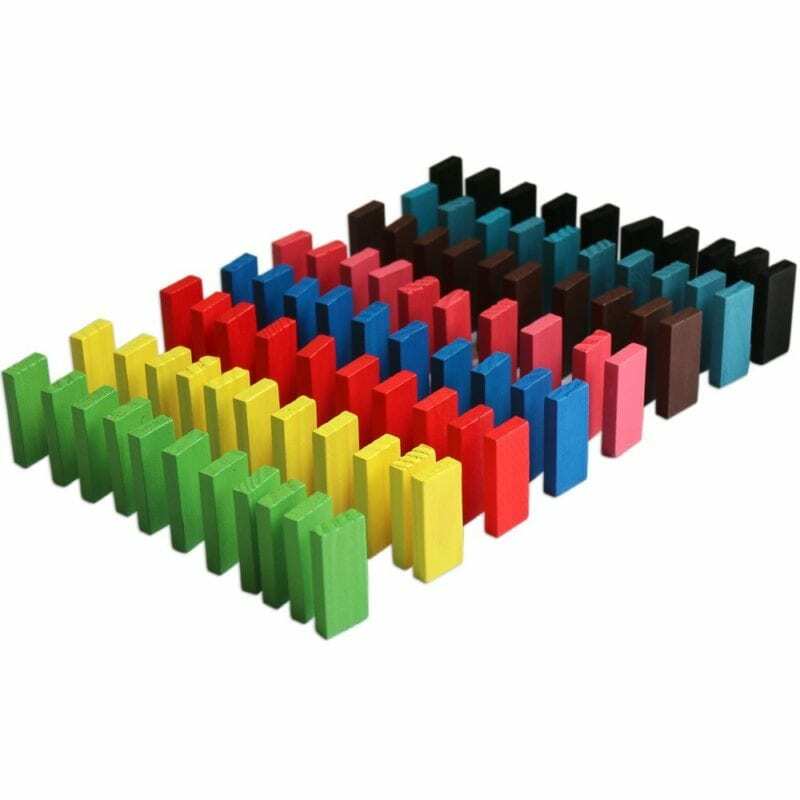 Children will learn math, science, spatial and tactile skills with these colorful wooden dominos. The options are endless with these. 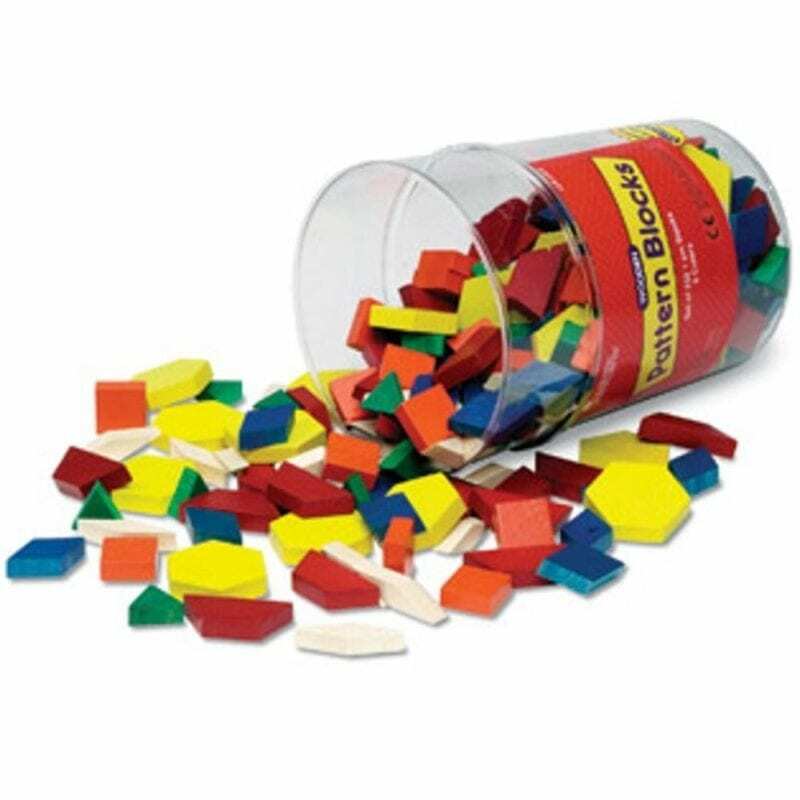 Use them as regular dominos or as a math manipulative. These would make a great addition to a math or STEM center! I have spent my entire adult life working with preschool age children and have loved every minute. I am thrilled to be homeschooling our 4 year old daughter. I have created a year-long, hands-on, literature based preschool curriculum and am the mommy behind Let's Play School. You can find my blog and shop at www.letsplayschoolblog.com.